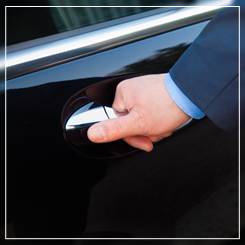 Enjoy the benefits of private transportation by choosing JIFE Luxury Car Service. Our service is available to anyone in the Dallas-Fort Worth Metroplex. 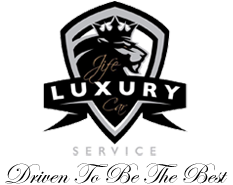 Learn more about JIFE Luxury Car Service features and amenities. *3-1-1 Information: To report safety violations, service, or discrimination issues, please contact the city of Dallas to file a formal complaint by phone at (214) 670-3111 or by mail at 1500 Marilla Street, Dallas, TX 75201. *Wheel Accessible Vehicles are available upon request. Receive reliable, safe, comfortable transportation when you choose JIFE Luxury Car Service. We distinguish ourselves from other luxury transportation companies by providing amenities like phone charger, SiriusXM™ Radio for news or music, Free WiFi, complimentary mints and a cold refreshing bottle of water. 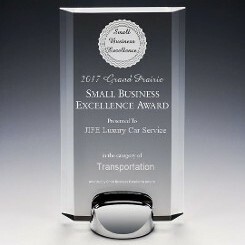 Based in Grand Prairie, Texas, we offer luxury limousines, Mercedes-Benz sprinter vans, SUVs and sedans. We provide service to the greater Dallas-Fort Worth Metroplex. We subscribe to Limousine, Charter, and Tour (LCT) to stay current on all luxury car service practices. JIFE Luxury Car Service excels at meeting our clients' demands and we are pleased to work around the clock to meet your needs. Reservations only need to be placed 24 hours in advance, so contact us today to check for availability.